It actually hasn't been that long since Huawei unleashed its recent flagship, the P9 and its bigger sibling the P9 Plus. Now, the Chinese handset giant has just announced that it has managed to ship over 2.6 million units of both of its flagships since its launch last April. As compared to the last year's P8 flagship model, the Huawei P9 and the P9 Plus have achieved much grander sales in other countries outside China. But of course, Huawei has been greatly successful with its flagship smartphones in its home turf. 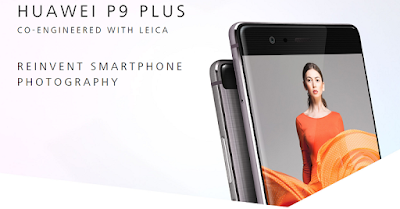 Huawei has been going into great lengths in promoting its smartphones, and we've been seeing great deals for the P9 and the P9 Plus here in the Philippines. The company previously had a trade-in promotion that let the first 200 buyers trade in any of their cameras, digital or analog, working or not, for a massive 20% discount. Huawei's growth rate in the smartphone industry has been nothing but hugely successful starting with the company's strides through the Google Nexus 6P. With that said, the whole world is keeping its eyes on Huawei to see what it's going to unveil next.